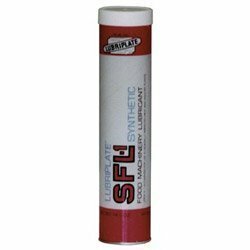 Authorized by USDA H-1 and NSF H-1 Registered for use in federally inspected meat and poultry plants, for use on equipment as a lubricant or anti rust film, in locations where there is exposure of the lubricated part to the edible product.|Ingredients comply with FDA Regulation 21 CFR 178.3570 for lubricants with incidental food contact. If you have any questions about this product by Lubriplate, contact us by completing and submitting the form below. If you are looking for a specif part number, please include it with your message. Sta-Lube SL3303 Brake Caliper Synthetic Grease - 12 Wt Oz.